RECENTLY UPDATED and READY FOR AN OFFER! $50K Price Reduction! 5 Bedroom, 6.5 bathroom Summerplace Ocean Front Home in Hatteras Village, Dances With Waves aims to please potential purchasers and vacationers alike! Renters favorite, easily books for the season! Beautiful Ocean views and easy beach access! All 5 bedrooms are masters with en suites. Laundry located on bedroom level for convenience and ease. Excellent rental history with 12% RENTAL RATION! Private Pool and hot tub just off the covered porch leisure area. Private Sauna, Fireplace, Lower level sitting area with wet bar and full bathroom, 3 Master Suites have private balconies overlooking the Ocean! Screened porch off of the dining/kitchen area. Master Suite on main living level. 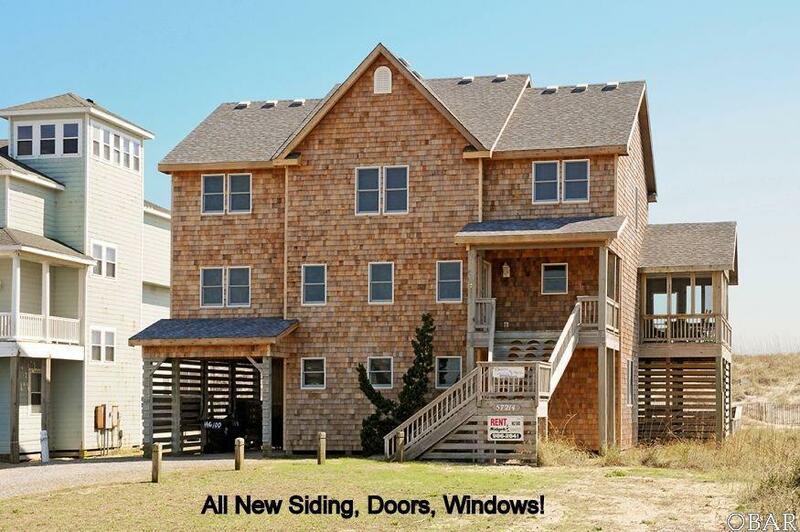 Enjoy amazing views of Hatteras Sunrises or Sunsets over the Atlantic Ocean while lying in bed! All new whole house siding, windows, and doors in 2016/2017/2018. New Roof in 2014. Put Dances With Waves at the top of your must see list!